RTÉ will mark the passing of renowned Irish architect Kevin Roche when it screens Kevin Roche: The Quiet Architect - March 19th, on RTÉ1 at 23.10. 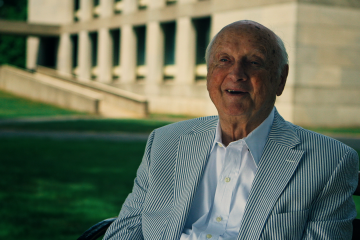 Mark Noonan’s acclaimed documentary Kevin Roche: The Quiet Architect will play the New Zealand International Film Festival, starting July 19th in Auckland. 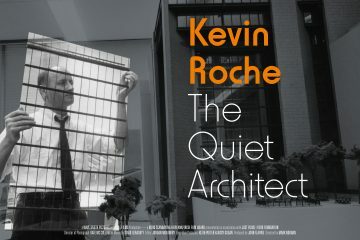 Still Films' co-production with Wavelength Pictures Kevin Roche: The Quiet Architect (Mark Noonan, 2017) has been picked up by Kino Lorber in the USA. Out today at the Irish Film Institute is Mark Noonan's new documentary Kevin Roche: The Quiet Architect. Scannain caught up with the director. The Quiet Architect manages to be somewhat charming while communicating Kevin Roche’s philosophy directly and intelligently. Ahead of its World Premiere at IFI DocFest, Wavelength Pictures has released the trailer for Mark Noonan's new documentary Kevin Roche: The Quiet Architect.